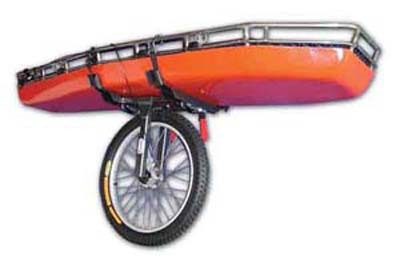 Outfit your stretcher with wheels, backpacks, covers, caddies, etc. Easy to use even with gloves on. Simply insert the small square slider into the larger hollow rectangle and pull the strap. 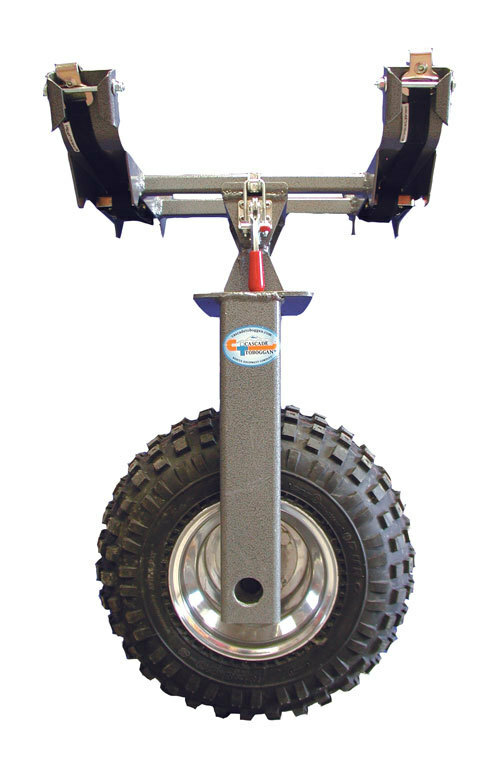 When the going gets rough, the Terrain Master Litter Wheel delivers. 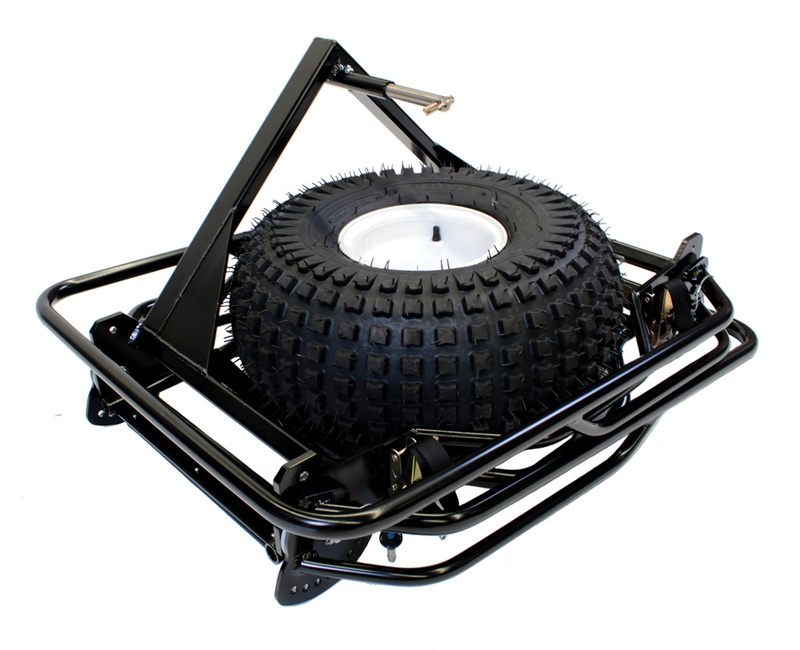 Ideal for rough, muddy, sandy or snow covered trails. 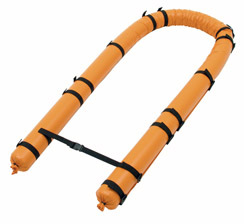 Makes it easy to ski your patient out of the backcountry. Non-slip grip finish. 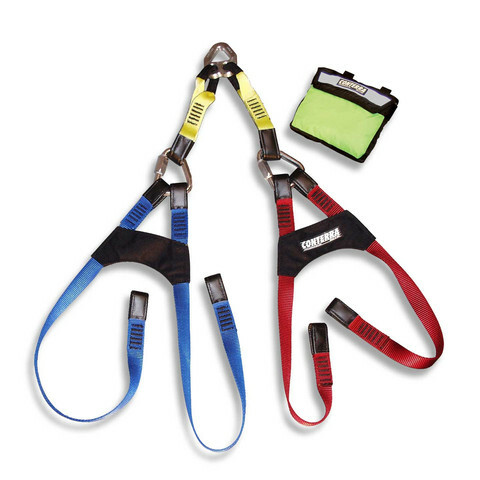 Replacement straps for Cascade Toboggans. 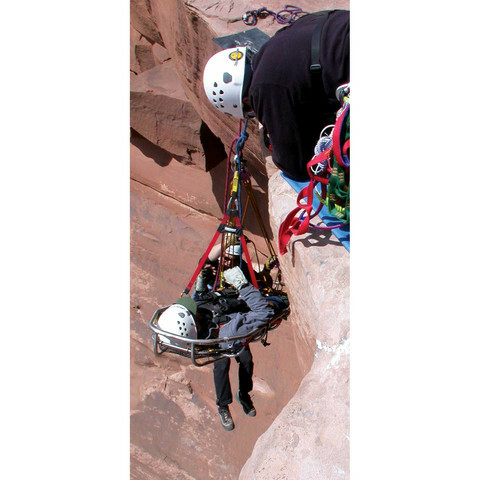 Each item includes one long end with girth hitch loop and one short end with girth hitch loop and buckle. 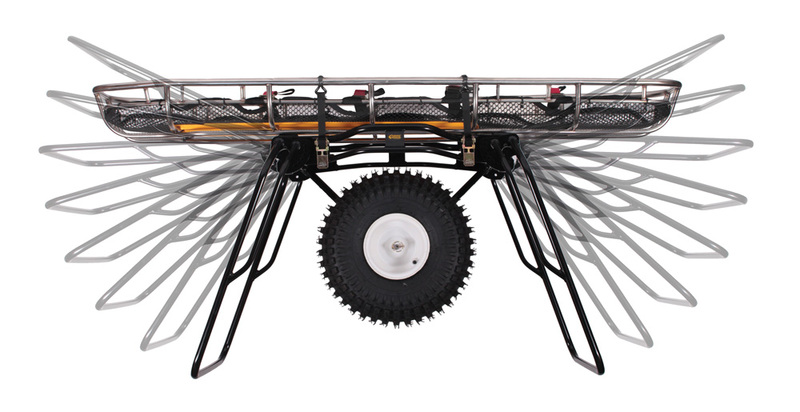 Our Litter Shield attaches to a mount on the litter rail that allows the shield to pivot and nest inside the litter. 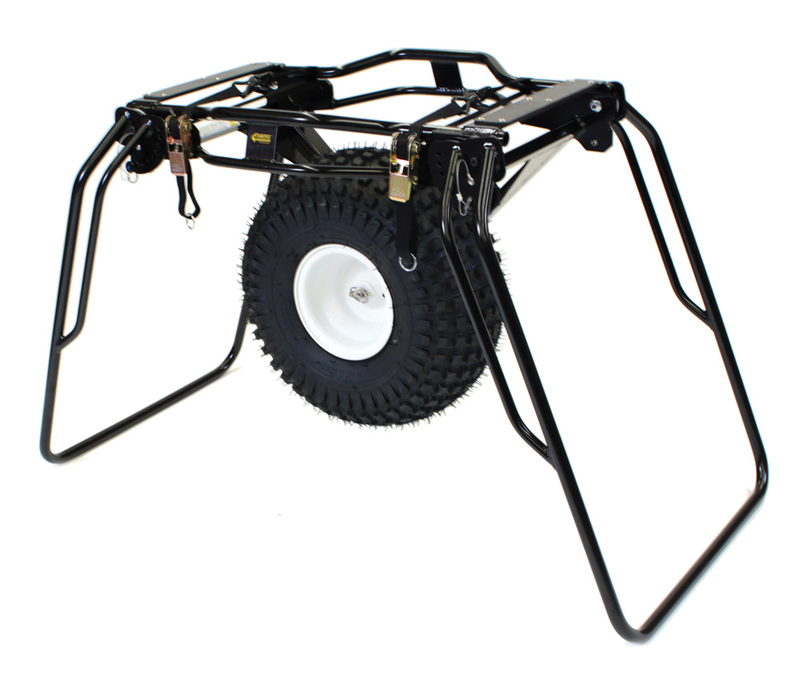 A quick release pin allows the shield to be completely removed if necessary. 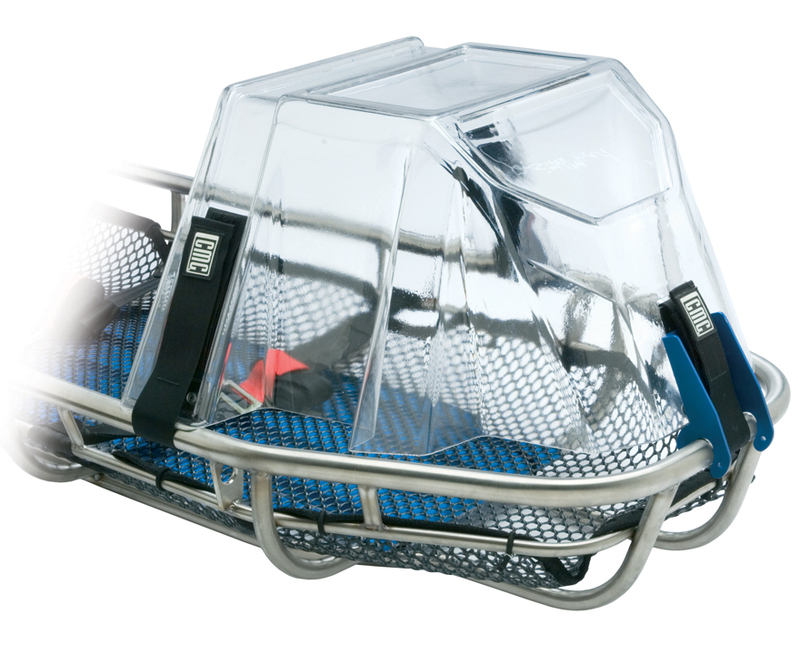 The lower profile makes storage easier, but does not provide as much clearance for the patient’s face as the Litter Shield Plus (see below). Each shield requires a railing clamp. 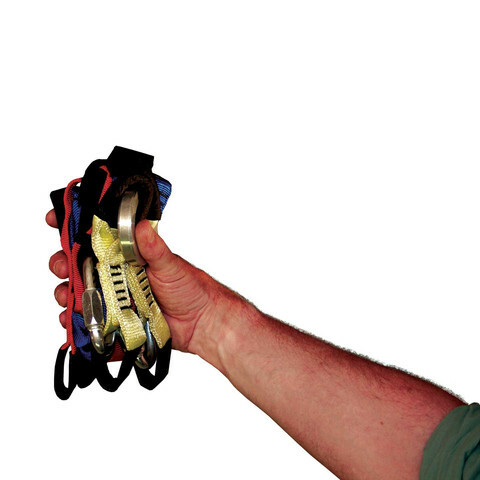 “The Fix” harness weighs in at just 400g (14oz), fits in the palm of your hand, and has a breaking strength in standard configuration of 40kN. Comes standard with a storage pouch that can attach to your litter! 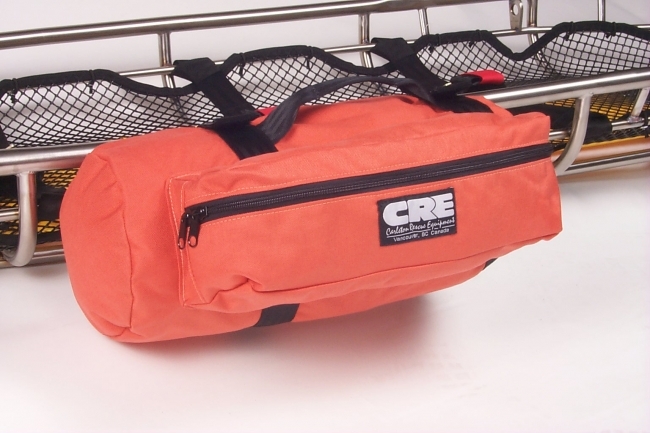 Accessory pocket that attaches to a stretcher rail keeping vital accessories close at hand. 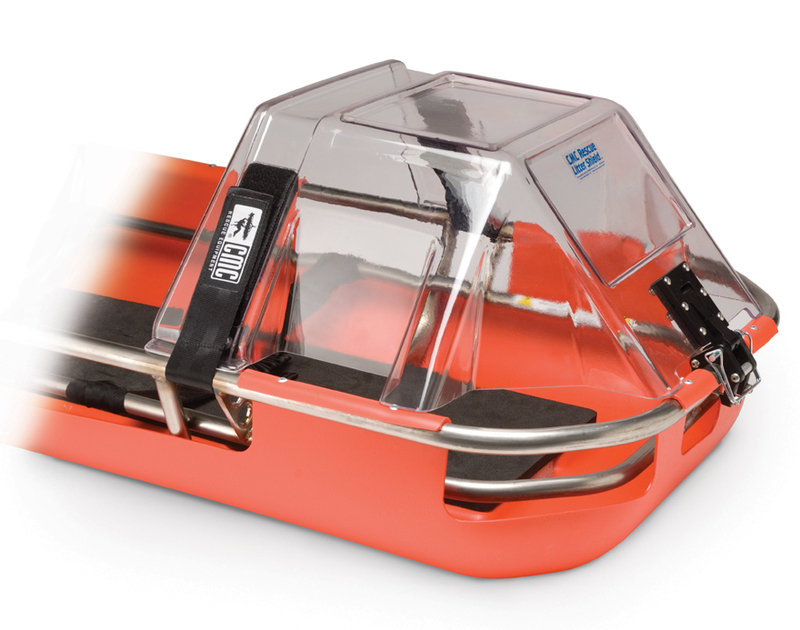 Designed to protect your litter and other rescue supplies from sun, rain, snow, etc., even when stored on top of your rescue vehicle. 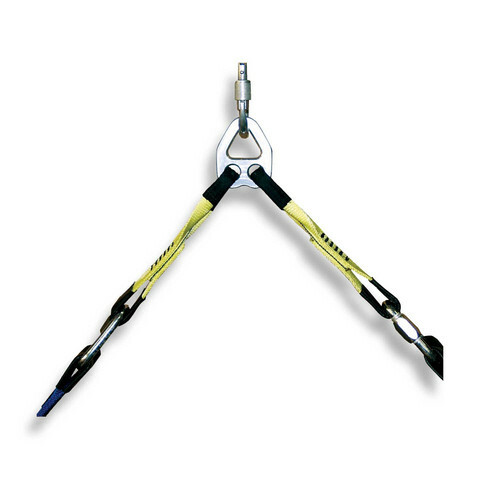 For many years the accepted method for securing a patient in a litter was improvised internal and external lashings using one-inch tubular web. Critical patient-packaging time could be lost and often the finished lashing was either too tight or too loose.